30th July 1818, The Vicarage, 74 Market Street, Thornton, Yorkshire, England. 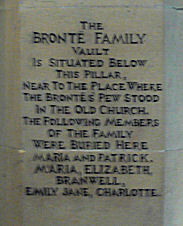 Emily was the daughter of a Cleric, Patrick Bronte and sister to Branwell, Charlotte and Anne Bronte. Clergy Daughter’s School, Cowan Bridge. Miss Wooler’s School, Roe Head and at home at Haworth. 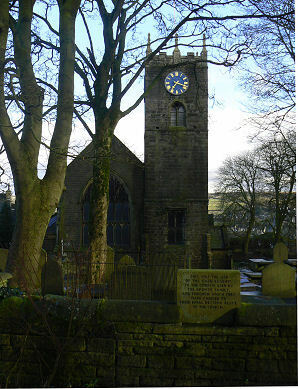 1820: Anne Baptised in the “Old Bell Chapel” at Thornton on 25th March. 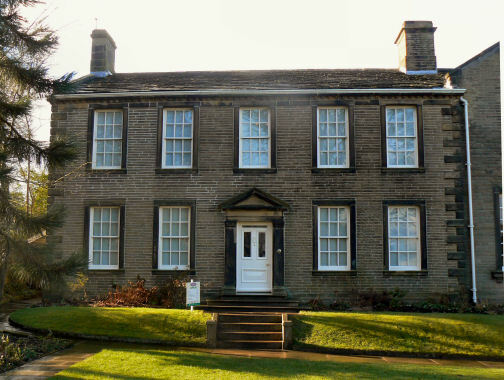 The Bronte family move to Parsonage at Haworth during April. 1821: Death of her mother on 5h September. 1826: Mr Bronte gives Branwell some model soldiers in June which help the girls form their own fantasy world of little people. 1831: Emily and Anne develop the fantasy world of Gondal. 1834: The earliest surviving Gondal manuscript is written on November 24th describing Caaldine. 1835: Emily is sent home permanently from school after feeling unwell and emaciated. 1836: Writing of the earliest dated poem on 12th July. 1837: Emily goes to Halifax, Yorkshire to teach at Law Hill School for a short period. 1842: She goes to Brussels in February to study at the Pensionat Heger. Death of her Aunt Elizabeth in November and returns home. 1843: Emily remains at home alone with her father and begins a period of major creativity. 1844: Divides her Gondal work from her non-Gondal work in two separate notebooks. Tries to open a school in Haworth with Charlotte but there are no takers for such an isolated spot. 1845: Branwell suggests to his sisters that novel writing is a profitable business. (October) Charlotte stumbles across her poems much to her annoyance but convinces her that they should publish some poems together. 1846: “Poems by Currer, Ellis and Acton Bell” (The sister’s pseudonyms) published in May with the family paying the costs. “Wuthering Heights” is finished during July and is sent to several publishers along with Anne’s “Agnes Grey” and Charlotte’s “The Professor”. 1847: The publisher Thomas Cautley Newby accepts “Wuthering Heights” and “Agnes Grey” but not “The Professor”. Cautley delays publishing until Charlotte’s “Jane Eyre” arouses interest in the “Bells” during December. 1848: The literary world, including their publisher, think that the three “Bells” are in fact the same author. Anne publishes the “Tenant of Wildfell Hall”. Emily withdraws from life. Death of her brother Branwell from consumption on 24th September. Emily leaves the Parsonage on 1st October for the last time to attend Branwell’s funeral and catches a severe cold which becomes an inflammation of the lungs. (1850): “Wuthering Heights” is re-issued with some of Emily’s poems and an introduction by Charlotte. (1941): “The Complete Poems of Emily Jane Bronte”. 19th December 1848, Haworth, Yorkshire, England, of consumption. 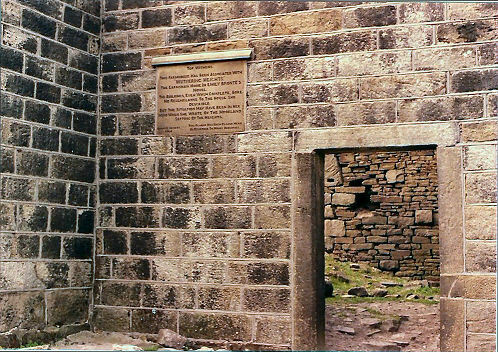 Bronte Parsonage Museum, Haworth, Keighley, West Yorkshire, BD22 8DR.